We all understand the importance of keeping up appearances. And when you’ve got your boss, clients, and friends to impress, driving a vehicle with top-notch style, technology, and performance is a must. And with the 2018 BMW 540i as your companion for the roads of Stratham, Portsmouth, and Exeter, you’ll keep heads turning along the highway. To discover more about what makes this luxurious speedster so special, let’s dive into this 2018 BMW 540i review created by BMW of Stratham. Before long, you’ll be sailing down the highway at the helm of this legendary sedan. While you’re coursing along your path, you should be surrounded by a collection of comforting amenities and materials all working in concert to keep you relaxed. That’s why the 2018 BMW 540i comes complete with standard 16-way power-adjustable front sport seats with 2-way side bolsters and 4-way lumbar support. Thanks to this functionality, you’ll be able to find the ideal position for your unique proportions. On top of that, the cabin of this sedan features soft Dakota leather seating that provides a soft touch throughout the interior. And with heated and ventilated seats, your body will be kept at its perfect temperature, no matter what kind of weather you’re facing. To keep the interior of your BMW 540i fresh and clean, this sedan has a micro-filter ventilation system with active charcoal filters. That way, you’ll know that you’re always breathing in crisp, purified air. You can’t sit behind the wheel of a forceful roadster without considering the amount of strength it produces along the road. Luckily, the 2018 BMW 540i is here to deliver on all your power-punching desires with its standard 3.0-liter turbo motor. Tucked beneath the sleek hood of your sedan, this engine assaults the asphalt with 335 horsepower and 332 lb-ft of torque. For an even more spine-tingling ride, the BMW 540i comes equipped with the Driving Dynamic System that offers a selection of ways to adapt your drive to suit your mood. With options like ECO PRO, COMFORT, and SPORT, your vehicle will quickly adjust its performance to match what you want to accomplish on the road. And by pairing all the muscle contained in this sedan with the 8-speed automatic transmission, you’ll receive the right boost of power when you need it most. During your next business trip, make sure that you’re supported by a system that’ll guide you to your destination. And inside the 2018 BMW 540i, you’ll find the standard iDrive 6.0 setup that includes BMW Navigation, Advanced Real-Time Traffic, and a 10.2-inch display. With these gadgets, your sedan will automatically update your directions to get you on the fastest route. That way, you won’t risk being late for an important meeting or event.  At BMW of Stratham, we strive to furnish you with a sporty sedan that’ll drop jaws along the streets of Stratham, Portsmouth, and Exeter. And by opting for the 2018 BMW 540i, you’ll surge forward with mind-bending comfort, performance, and technology. Why wait around and miss out on the opportunity to snag this vehicle? Visit our showroom or contact us to schedule your test drive today!